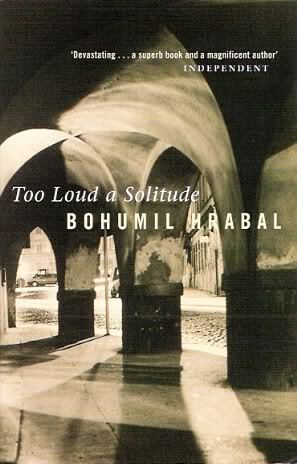 So begins Too Loud A Solitude, a slim novel by Czech author Bohumil Hrabal. The plot of the novel is rather simple; Hanta, an old man, has been operating a giant compactor for thirty-five years. He rescues rare books, which he reads and hoards in his house. Over the course of the story, one encounters two former girlfriends, his boss, former university professors who work in Prague’s sewer system and a host of other characters. Hanta, who drinks an incredibly amount of beer, has to face up to the end of his era in waste management as the youth of the Brigade of Socialist Labor and technological advances sound the death knell of his work. Hrabal wrote Too Loud A Solitude during the communist era in former Czechoslovakia and therefore the book can be interpreted as a metaphor of the communist suppression of Czech culture during those time. However, this book is so much more than the already heavy issue of suppression. It is about how and where we find beauty when living the most mundane and, at times, the ugliest of existence. Hanta reads all the old masters, like Kant, Lao-Tse, Hegel, Satre, Socrates and Camus among others, quotes from them quite freely and fills his ugly and lonely life with, or rather compacts into his brain, the most beautiful and sublime thoughts and theories. The book is about the indestructibility of the written word, about the ephemeral yet infinite nature of thoughts. It is about the love of books. Sounds like a beautiful book. 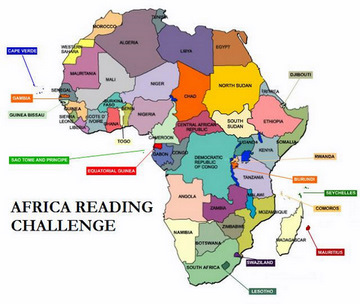 I may go look for some Czech literature after I complete my African women’s literature journey this year. I’m not sure why this post from 2010 suddenly popped up for me in in Google Reader, but this sounds like a very interesting book! I’ve been reading Patrik Ouedník’s Case Closed and am about to (re)read The Metamorphosis, so the wonderful oddness of Czech fiction is on my mind. I was correcting and editing old posts and I guess the feeder sent it out. I have to be careful but see you found a new book! Too Loud a Solitude is one of my reads in Czech literature. I have not read Ouednik and will check the book out. Enjoy your reading in 2012.
i love this book. it haunts me though too. i spent a semester abroad in prague 8 years ago and took a czech lit class. i think fondly on the simple nature of some of the more profound themes of this book, specifically the beauty and wonder sought out by the human soul in all and any given conditions – a continual search for god i call it in whatever and wherever one finds oneself … i am haunted, as i said, for i find myself oft in a position doing mundane work or not doing much at all – and seeking out the beauty, god to help inspire and sustain me. It is food for the soul … except it is scary and disturbing to think of the darkness we at times live in and the lives of quiet desperation that is most of our human existance – or perhaps moreso in modern capitalism or communist society which are actually really similar in the post-industrialized era sense and the jobs and requirements that result. Great book just like all books by Bohumil Hrabal. Amen to that. I wished more people will read his works. Thanks for visiting. I read I Served The King of England last year and wasn’t that impressed. It was OK, but the film of the same name was a big improvement (sign of a poor book!) This does sound intriguing, but I worry about my thoughts on his other book. As it’s short I’ll keep an eye out for it! Too Loud A Solitude is really short. I haven’t read I Served The King of England. I read his other novel, Closely Watched Trains some years back and liked it. Although, this book is my favorite. I’d love to hear your thoughts when you read it. You read such great books! This becomes another add to the wish list!